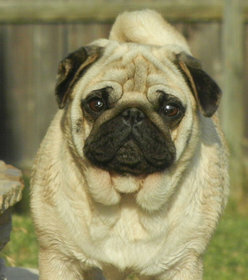 The Foundation for Harmony Pugs. 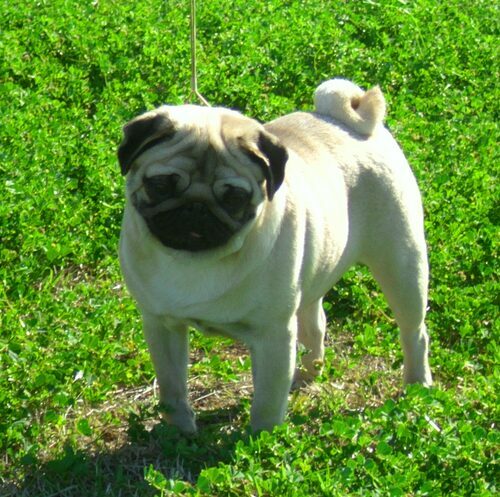 A thousand thanks to Kristy & Kevin of Hill Country Pugs for taking a chance on a new exhibitor. Roxy has contributed her beautiful wrinkled head, bone, substance and floating movement to my breeding program. 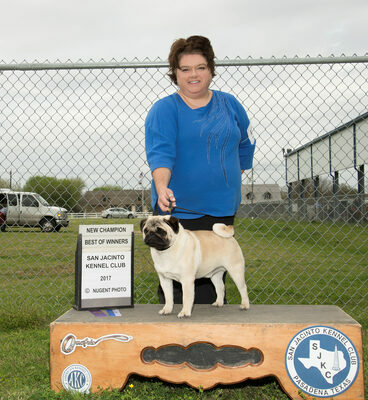 He is Harmony Pugs 3rd Bred-By Champion!! 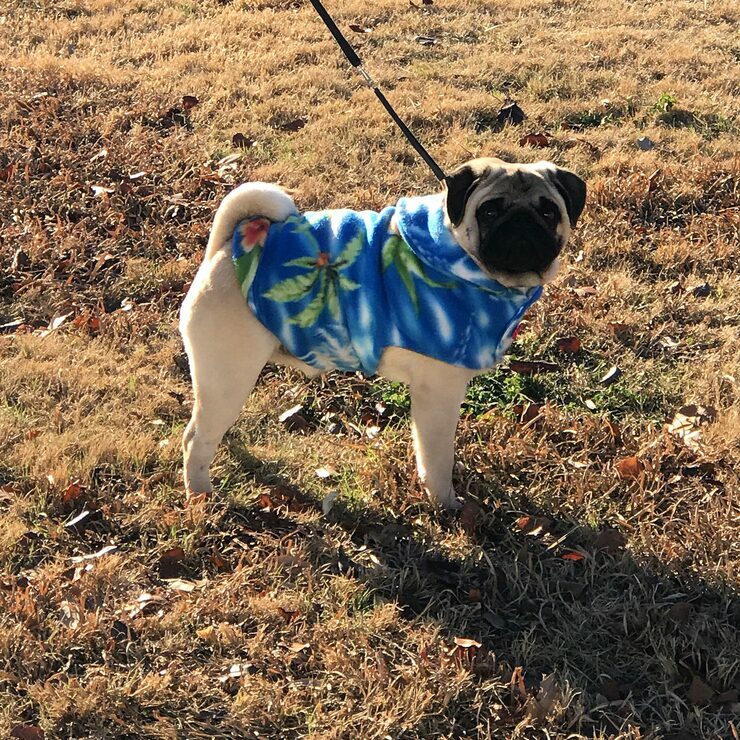 Frankie is now retired and living the sweet Puglife with the Pappas family!